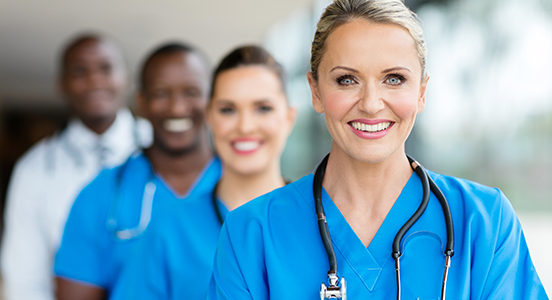 Nurses across the world have experienced a fall in their purchasing power in real terms over the past ten years, according to a report recently released by the International Centre on Nurse Migration (ICNM). This was the first time the International Council of Nurses (ICN) used salary data collected through its member associations to determine global trends over time. The ICNM analyzed pay data from various countries for the years 2006-2016. This information is collected annually from member associations by the International Council of Nurses International and Asian Workforce Forums. The fall in nurses’ real-time purchasing power and even stagnation and decline in salaries over the past two years in some Asian countries has serious implications for retention and recruitment in the profession where there is already a concerning shortage globally. The shortage of nurses is due not only to the aging of the nursing force, but nurses are also being driven to leaving the profession because of heavy workloads, low salaries, and poor working conditions. Despite this, it appears that governments are not using wages as a motivator to improve the attractiveness of the profession. “With a predicted shortage of nine million nurses by 2030, and global health priorities such as Universal Health Coverage and NCDs it is vital for governments to invest in nursing and address issues to recruit and retain nurses, such as starting salaries and prospects of reasonable career and pay progression,” said Howard Catton, ICN Director of Nursing and Health Policy and author of the report. The recent UN Commission on Health Employment and Economic Growth stressed that investment in health services is necessary for any country’s economic prosperity rather than being a drag on economic growth. Governments are responsible for the safety and security of their citizens and a shortage of healthcare professionals has serious consequences for human health and mortality. It appeared that investment in nursing stalled after the global recession in 2008 as governments focused on reducing debt. With the return of economic growth, there had been some improvement over the past two years in starting salary levels for nurses in a number of countries, but this was limited. In other countries, the pay levels are stagnant or even falling back. At the same time, it appeared that physicians had not been subjected to the same pay restraints. While politicians make the decisions that affect nurse’s pay, potential recruits and nurses within the profession will make choices based on how their daily lives are affected by their present and future economic prospects. “Given the relative fall in nurses’ purchasing power over the last 10 years, there is an urgent need to give the world’s nurses a pay rise and better working conditions in order to address the attractiveness of the profession,” the report states in its conclusion.